There are so many reasons to choose stone coated steel roofing. Would you love the classic look of clay tiles, slate or even shingles without the hefty price tag? If so, stone coated steel roofing might be the right roofing material for your needs. In addition to being cost-effective and aesthetically pleasing, stone coated steel roofing is also lightweight and easy to install, which helps to reduce the cost. Because these roofs are made from steel, they are naturally resistant to fire, and will help to protect your home from everything from earthquakes to hailstorms. And, stone coated steel roofs provide next-level durability, and won’t warp, crack, split or absorb water, and they are designed to withstand wind speeds of more than 120 MPH. We offer beautiful stone coated steel roofs from Varitile. If you want the traditional look of clay tiles without the cost and the added weight, Bond panels are the way to go. You can purchase panels with either seven pans or eight pans. Add Mediterranean charm to your home with Varitile Roman. 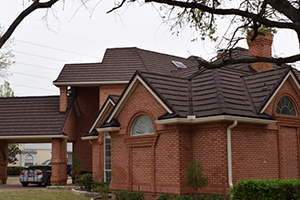 These panels resemble clay tiles, but provide optimal protection for your home. Do you love the modern look of sharp, clean lines? If so, Classic panels, Varitile’s most popular option, may be the right choice for you. For the rustic look of traditional, hand-split wood shakes, choose Varitile Shake. Transform your home with the classic, European style and add strength and durability with Mistral panels. Varitile’s most unique product offering, Romana panels are made from zinc-aluminum steel are designed for beauty, strength and style. These one-of-a-kind panels were inspired by architectural styles favored by the ancient vikings, but unlike viking roofs, these panels won’t deteriorate or burn. With Gallo panels, you get the look of southern Europe, as well as next-level durability and strength. Perfect for contemporary homes and bungalows, iPanel panels feature straight lines and a low profile, and are available in many colors. iSlate panels are designed to perfectly emulate the aesthetics of natural slate, but unlike slate, these panels are lightweight and won’t crack. 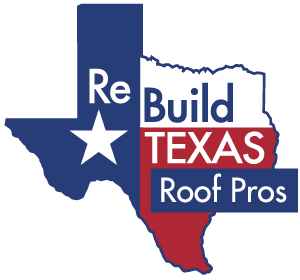 Let us help you find the perfect stone coated steel roofing option for your home in Texas. When it comes to stone coated steel roofing, you have a plethora of options to choose from. Whether you want the look of clay tiles, wooden shakes or classic shingles, you’ll love this durable, cost-effective, long-lasting material. Learn more about Varitile panels and find the right style for home when you contact us today to schedule your free estimate.